I am a pretty crafty gal and, sometimes, I enjoy just kind of "making things up" when it comes to my clothing and accessories. I have maybe two actual headbands, but I have so many scarves of all kinds (got a gift bag full at a gift exchange one year). Since I love the look of headbands and they rarely fit my head well, I try to make due with what I have. 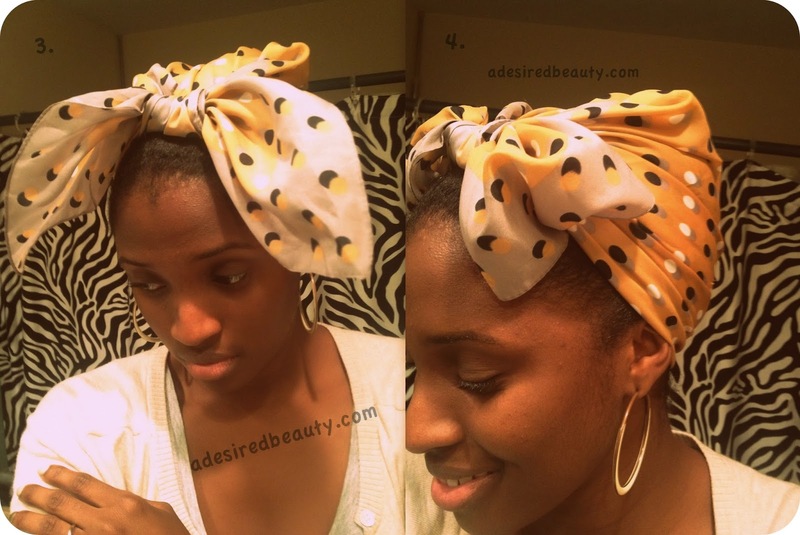 Recently, I've had a few ladies asking about my scarves and headbands so I decided to do a quick how to. It's really quite simple to give any scarf a little cute extra with a bow. It doesn't matter what shape it is either. 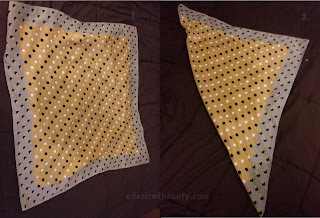 These are the two I've done most recently, with rectangle and square scarves. 1. 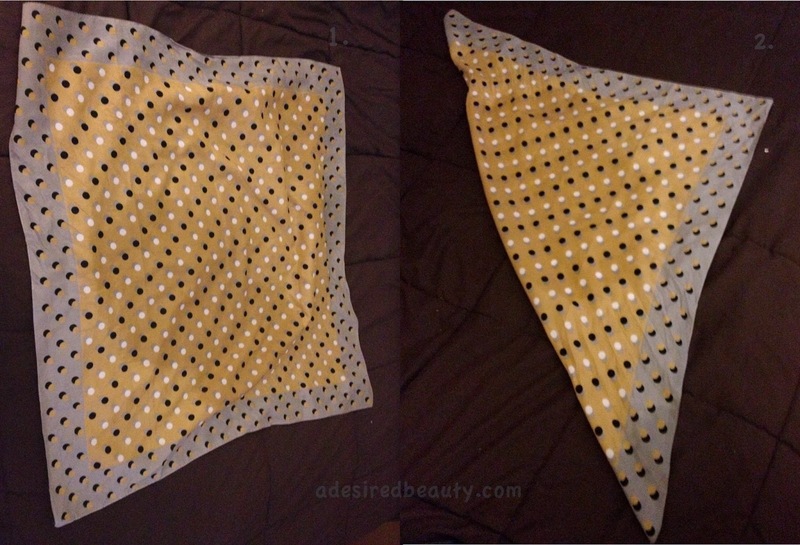 Lay the scarf flat then fold it in half. 3. Tuck each end just under the edge of the scarf on both sides of the knot. Fluff and spread to get the perfect bow look. I love this to jazz up buns and textured updos. Especially when my edges are misbehaving. If you're like me and headbands slowly slide up your head during the day, you may want to secure the scarf with a couple bobby pins to prevent this. 1. First take the scarf, lay it flat and then fold it diagonally into a triangle. 2. Put the middle of the triangle at the back of your head and tie the ends together twice to make a knot. 3. Pull the tip of the triangle tight and tuck it under the knot. 4. Take each end and tuck it under the edge of the scarf. Fluff out to give the perfect bow look. You can do this with your edges out or even a front swoop of hair. Works great for an old twist or braid out. I love to do it when I'm deep conditioning on the go, too. Easy right? You can change the look of a boring bun or turn a bad hair day into a cute wrap in just a few short minutes! This is sooo cute!! Thanks for sharing!